Ryan Wernsman has joined the Environmental Tillage Systems (ETS) team as a Regional Sales/ Key Account Manager for Colorado and Western Nebraska. 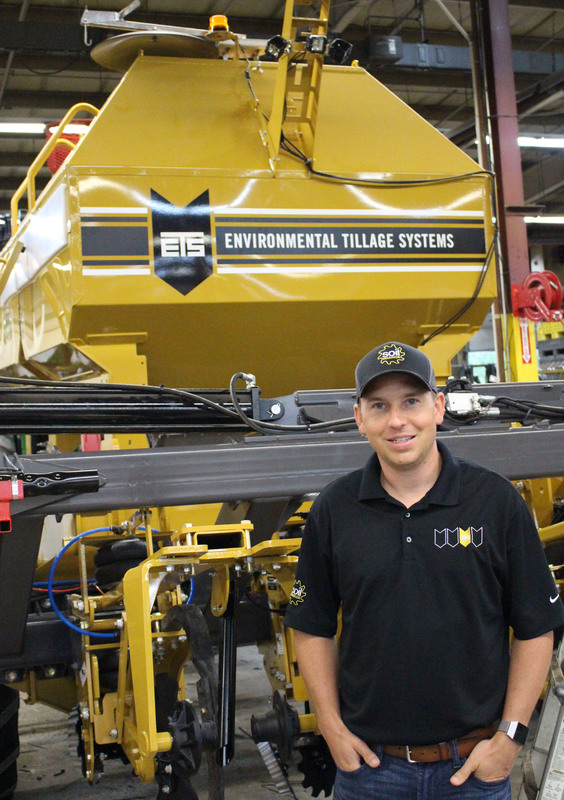 Ryan will manage regional sales and support dealerships with innovative agricultural equipment, SoilWarrior. Wernsman brings over ten years of sales experience in the banking and agricultural manufacturing industries. He grew up on a corn and wheat farm in Haxtun, Colorado and later attended Colorado State University where he received a Bachelor's Degree in Business Organizational Management. Environmental Tillage Systems is a premier manufacturer of zone tillage and nutrient placement equipment in Faribault, Minn. Its flagship product is the SoilWarrior, a complete strip-till system that enhances soil productivity and farm profitability. ETS products set the standard for in-field performance, machine durability, and ease of operation. Founded on a farm in southeast Minnesota, the company now serves clients in the USA, Canada, Australia, New Zealand, and Zimbabwe. To learn more, visit soilwarrior.com.